ArchiTech speakers are OEM Systems' value oriented speaker line. 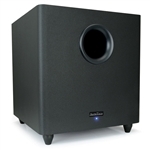 ArchiTech speakers are made specifically for the middle of the road builder series for the average US home. Not the cheap stuff, but not too expensive to be out of reach. ArchiTech speakers have two grades of woofer (the low sounds) materials, polypropylene or Kevlar. Both series of speakers include a synthetic soft dome tweeter (the high sounds) for balanced highs and very good dispersion (spreads sound around the room easily). All of the ArchiTech speakers are backed by a lifetime warranty. These guys simply don't make a speaker that has any problems to start with. Message from OEM Systems (Makers of Architech speakers): OEM SYSTEMS COMPANY products are recommended by professional audio/video system designers throughout North America. All of the products in this brochure are manufactured in our ISO 9002 Registered Company Factory. OEM stands for Original Equipment Manufacturing, which is the foundation of our business. It is the area we started in 1987 in Huntington Beach, California. The people of OEM have long histories in designing and manufacturing loudspeaker products for leading brand name corporations. Our innovative ideas, commitment to customer satisfaction, and a lot of hard work have allowed us to grow into the company you see today. Now operating out of Sparks, Nevada, we are proud of our products and ideals and are continuing to grow as a trusted and respected business. Great designs and great materials are the two ingredients that go into great loudspeakers. Like so many other things, it is just that simple. Well known brand name loudspeakers have one additional ingredient: advertising. OEM does not advertise. We pass this tremendous savings on to our customers and let the products speak for themselves. Our speakers use a mix of classic, time-proven and new, cutting-edge technology & materials. Well-engineered crossover networks with premium quality components, together with attractive frame/baffle assemblies and solid mounting systems, yield loudspeaker performance-value ratios that are second to none. We back our products with a Lifetime Limited Warranty and pride ourselves on always delivering 100% customer satisfaction. Thank you for taking the time to consider our products. We know you will be pleased with their quality and value.